We human beings never learn, do we? It’s been over 100 years since the Titanic tragically sank on its maiden voyage, after hitting an iceberg in the Atlantic Ocean. 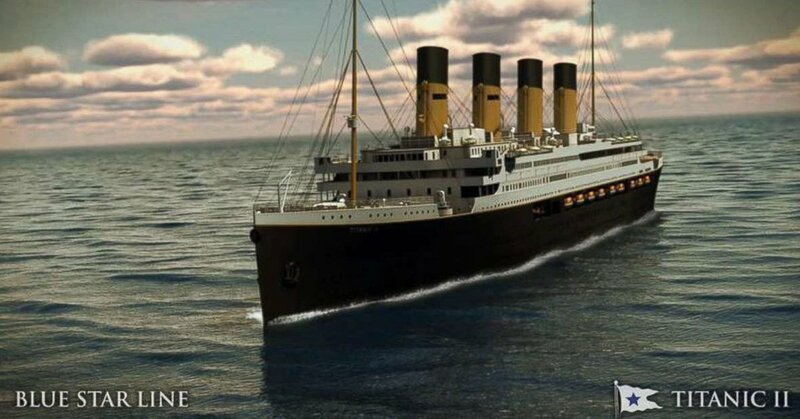 Now, in the 21st Century, it looks like we’re ready to tempt fate all over again – a full-size replica will is being built, and will sail on its maiden voyage in 2022 – on the EXACT same route as the ill-fated 1912 version. Did someone say “take a lesson from history”? The official replica of the original ship will be setting off for its two-week maiden voyage in 2022, and will follow the original 1912 voyage plans. The ship will feature the same exact cabin layout, and will be sailing from Dubai to Southampton, England (where the original set off from in 1912) and then on to New York. This means it will be embarking on the same North Atlantic route which brought hundreds of the original Titanic passengers to their deaths. The replica has cost a whopping $500 million to come to fruition, and will carry about 2,400 passengers, which is almost the same amount as the original ship. Crucially, this time around it will have modern navigation and safety features aboard. You’d like to think iceberg detection was among those features. Technology has come a long, long way since 1912. After the maiden voyage is complete (fingers crossed), the Titanic II will embark on other global routes. Blue Line chairman Clive Palmer has opened up about the other possible routes the ship may take on. “The ship will follow the original journey, carrying passengers from Southampton to New York, but she will also circumnavigate the globe, inspiring and enchanting people while attracting unrivaled attention, intrigue and mystery in every port she visits,” Palmer said in an interview with MSN. The original project was suspended for years due to Palmer’s flagship company ‘being in dispute with Chinese Government owned Citic Limited over the non-payment of hundreds of millions of dollars of royalties owed to Palmer companies’, according to the Blue Star Line website. “Citic Limited was just exporting millions of dollars of Mineralogy resources and refusing to pay for them,” Palmer stated on the financial situation. 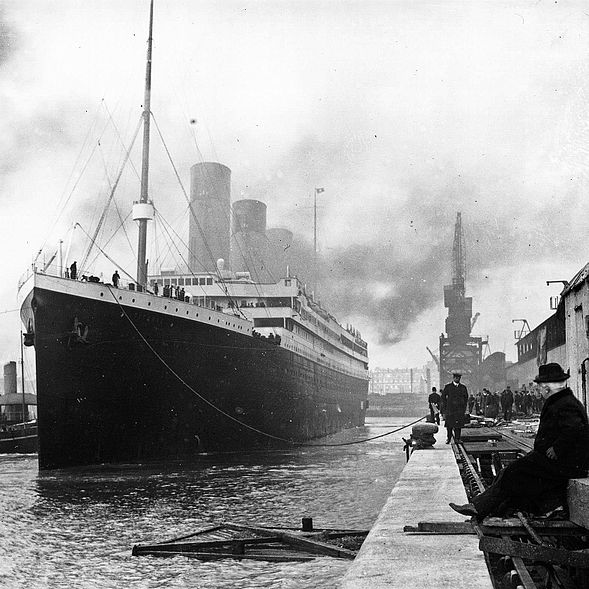 As well as being made into one of the biggest movies of all time, the story of the original Titanic has fascinated millions in the years since. It has been the subject of thousands of books documentaries, and conspiracy theories. Additionally, in 1936, a radio operator named Gordon Cosgrave claimed to have received long-delayed echo SOS messages from the Titanic 24 years after they were sent out. One of the more famous stories is that of the Titanic ship’s band and their final tune ironically being “Nearer, My God, to Thee”. It remains to be seen whether the same amount of passengers will risk tempting fate this time around. One thing’s for sure, though – I won’t be able to afford a ticket! What do you think of this, folks? 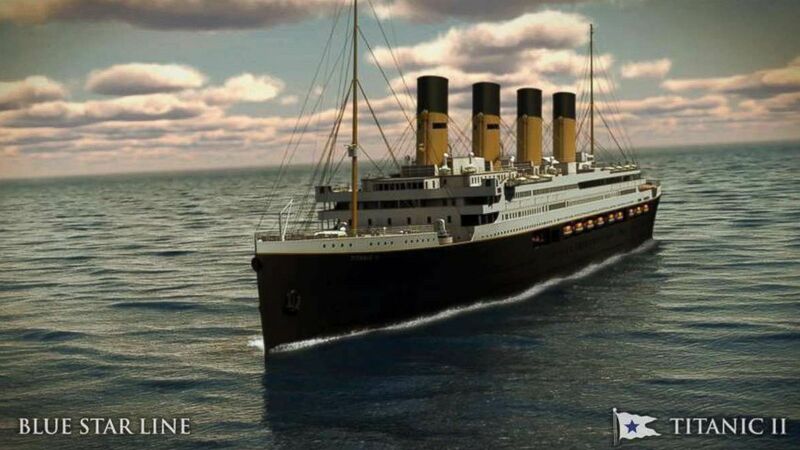 Would you be a passenger on the Titanic II if you could? Let us know your thoughts in the comments!